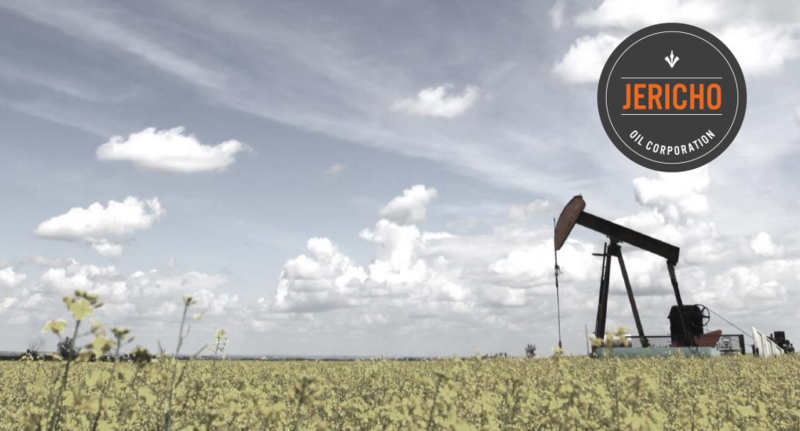 Jericho Oil: Building A Mid-Tier Oil Producer One Acquisition At A Time | Energy and Gold Ltd.
A small mid-continent oil explorer, Jericho Oil Corp. (JCO.V), continues to be one of our micro-cap picks in the energy space. Jericho has an opportunity to become a mid-tier oil producer with an incredibly low operating cost structure as a result of the carnage in the U.S. oil sector. We had the opportunity to connect with Ryan Breen, Jericho’s director, corporate development, and we were encouraged by what we heard. Jericho is committed to making 2 or 3 significant deals this summer which would vault the company above the 1,000 barrel per day production mark. CEO Technician: WTI is above $47/barrel today and the market has changed quite a bit even since we last spoke about 7 weeks ago. Please give us an update as to what Jericho is seeing in terms of acquisition opportunities and how has the oil price rally affected Jericho? Ryan Breen: The oil price has obviously been very volatile and I think that’s the one constant in oil and gas prices, volatility. I don’t think our strategy has changed very much; I think sub-$50, and even sub-$60 you’re going to see these companies who have loaded up on debt struggling. If you just look in the past week 4 or 5 big guys have gone into bankruptcy – you have Sandridge, Chaparral, and Chesapeake is on the verge, etc. So I think even with oil in the $45-$50 range the damage on these companies has been done, you’re gonna need to see a prolonged oil price recovery above $60 for them to repair their balance sheets. I don’t think much has changed in terms of acquisitions we’re looking at, there’s basically two buckets: one is from larger companies that are going into bankruptcy who are being forced to divest assets whether it’s before or after bankruptcy, and then you have your smaller guys who are extremely stressed even at $45/barrel oil. For companies that are loaded up on debt and 4-5x leveraged the only way to get out of it is to drill new wells and in this environment with $45/barrel oil there’s still not a lot of plays that make sense where it’s worth putting a couple million dollars into the ground. I think prices change people’s expectations; we’ve been above $40/barrel for 45+ days so that’s going to make it a little more challenging to get deals done cheaper. But I think there’s still a lot of supply out there so there will still be plenty of deal opportunities available. CEO Technician: Is Jericho still on track to achieve the 1,000bpd production goal in the third quarter of this year? Ryan Breen: We feel good about the opportunities that are out there so we are confident that we will reach the 1,000bpd mark by Q3. CEO Technician: We spoke with you a couple months ago and I recall you guys were closely eyeing a couple of potential deals. How did those pan out and is there anything you are looking at closely now? Ryan Breen: Yes, there was a larger deal that we worked on that we ended up losing out on. It was the Devon Energy Mississippian/Woodford package; this deal would have surpassed our goal by quite a wide margin, it was 14,000 barrels per day and ended up going for over $200 million. According to Jefferies bankers we were in the top 3 bidders for this package but it ended up going to Aubrey McLendon’s old firm American Energy Partners. We’re not going to swing out of our shoes, we’re not going to predict that oil prices are going higher than what the strip is telling us. We are looking at a couple of opportunities in which larger companies are looking to divest their non-core legacy assets and for us it makes perfect sense to go after these assets. One of them we are in active negotiations and we have a signed LOI (letter of intent), this is an asset with positive cash flow and production profile with substantial acreage to develop. Scott Armstrong: How many deals is Jericho currently working on? Ryan Breen: We are in active negotiations on 3-4 deals. There’s about 11 deals that i’m in various stages of speaking with other A&D departments and other land departments in figuring out their interests. In some cases some of these larger players are divesting many assets so it’s generally a case of getting their attention for getting their packages sold. JCO is completing a 15-month rounding bottom pattern – a breakout above .55 targets .75+. CEO Technician: How has the rise in the oil price affected your negotiating strategy and what you’re willing to pay for assets? Ryan Breen: On the margin movements in the oil price does change our pricing. However, at $40 or $50 oil you’re not going to give much value to PUD (proved undeveloped reserves), PDNP, and your acreage value. We’re still purchasing assets around their PDP (proved developed producing reserves); when you look out at the strip and you’re not even getting $52 or $55 it’s really hard to price in PUDs or raw acreage value. CEO Technician: Where is Jericho at right now in terms of barrels per day of production? Ryan Breen: We are close to 250 barrels per day of production right now. We’re now getting into a small development program and rework of some of our wells, we put out a press release a few weeks ago about some development we have done in our PostRock acquisition, we did two acid jobs on vertical Hunton wells and in both cases we doubled production and it looks like payback on that investment (which was only $25,000-$50,000 on each acid job) will be under 60 days. In this environment we’re looking for under 90 days payback on our acid job or workovers. Part of our due diligence process is looking at companies that have underdeveloped and/or undercapitalized the asset because they were simply running out of money. They didn’t take care of the blocking and tackling that’s required and the TLC that these wells need, so they went into a state of disrepair. They could have been producing 7-10 barrels per day and instead they went offline for whatever reason and they didn’t have enough money to fix them. So these wells that were making very good money and were profitable, when we purchased them we didn’t give them any value because they weren’t actually producing. But we can go in there and bump up production 10-20% and that wasn’t part of our acquisition model so it’s sort of all incremental breakthroughs. Scott Armstrong: Like with the Devon Energy opportunity are you seeing more larger deals that could really put Jericho on the map? Or was that kind of an outlier for you guys to even consider a deal of that size? Ryan Breen: I try to get myself into any deal in our Central Oklahoma focus region, whether it’s to glean more data or whether it’s geologically driven or whether it’s to find out where people are at on pricing. I don’t think Devon was an outlier, it was one of the largest packages available in our focus region, but I think there are plenty of other companies that will be looking to divest non-core legacy assets in our Central Oklahoma focus region over the next year. We will be involved in those deals once they come down the pipeline. CEO Technician: Given the relatively small size of Jericho (US$32 million market cap currently) how would you get a deal the size of the Devon deal done? Ryan Breen: As you guys know everything we have done so far has been 100% equity so on the larger acquisitions we will likely layer on some debt for the first time. There are some attractive terms out there with Treasury yields where they are you can find money at between 4.5% and 7.5% for oil & gas assets still. So I think you can see us layer on some debt financing and we’d go out to the market and raise the equity that we need. It would be a little bit larger than what we’re used to but I think you’ve seen that we have a strong shareholder base that always comes up to bat when we have a new deal and we take it to them. On the hedging side most of the debt structures that we look at would require us to hedge, however, there are some options available including 3-way collars that will allow us to still benefit from an additional 10-15% of upside in the oil price. CEO Technician: Does Jericho have any hedges on right now? Ryan Breen: We do. There is an interesting structure called a swaption that was presented to us by Cargill when oil was trading around $40 a couple months ago; in this structure we locked in $45/barrel for ¼ of our production for the remainder of 2016 and in return we gave Cargill a locked in price of $45/barrel for the same number of barrels in 2017. So effectively we were $5 in the money for 2016 and at the money for 2017. CEO Technician: How many barrels per month did you do the swaption on with Cargill? Ryan Breen: For 2016 it’s for 4,500 barrels per month, and for 2017 it’s for 3,500 barrels per month. CEO Technician: You guys are quite profitable at $45/barrel right? Would you consider hedging more production if oil runs a bit higher? Ryan Breen: Our field level breakevens are anywhere from $15-$20/barrel so at a field level we are close to 60% margins and i’ll take that any day. Right now i’ll say that we are definitely open to hedging more production if we have an opportunity to hedge in the mid-$50s in the near future. CEO Technician: What can shareholders look forward to from Jericho this summer? Ryan Breen: We are going to grow through acquisition so that’s our main focus right now. So if we talk in August and we haven’t completed 2 or 3 more acquisitions in the $5 million to $15 million range I will be disappointed because we would probably have a lost opportunity. Hopefully these 2 or 3 acquisitions will get us to our 1,000 barrel per day goal and they should if we are going to go out and spend C$20-C$30 million over the next couple of months which should get us another 600 or 700 barrels per day of production. Scott Armstrong: Is there anything else that you feel investors should know about Jericho? Ryan Breen: There is a lot to be said for having no debt. We have one of the most flexible capital structures out there. I don’t think there’s another oil & gas company out there that has no debt and while some may view it as inefficient, we would much rather be inefficient than insolvent. We have a $30 million asset base so that means we can go out and easily deploy $15-$17 million in debt if we choose to. We think it’s an interesting time to grow in the oil sector and we are positioned to take advantage of opportunities with a flexible capital structure and a strong shareholder base who are committed to Jericho for the long term. We would like to thank Ryan for his time and we are excited to see what Jericho accomplishes this summer. It is certainly an exciting time for a company with no debt and a strong shareholder base to be scouring for acquisition opportunities in America’s energy heartland (Central Oklahoma).